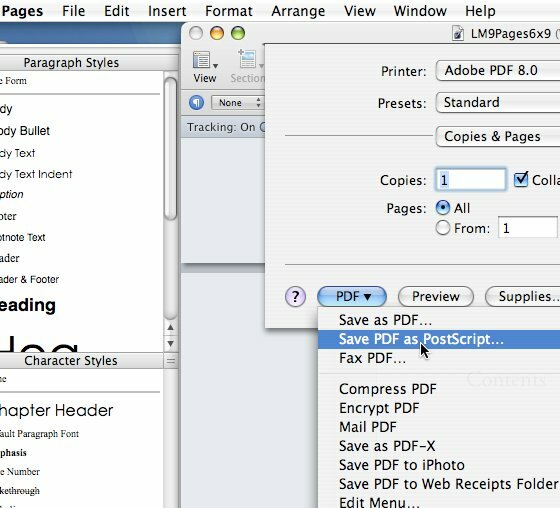 Problem: the Mac's built-in PDF creation systems may create PDFs with font embedding faults that cause printing problems with the high speed printers used by Lulu's print partners. Solution 1: Make your PDF with Adobe Acrobat. 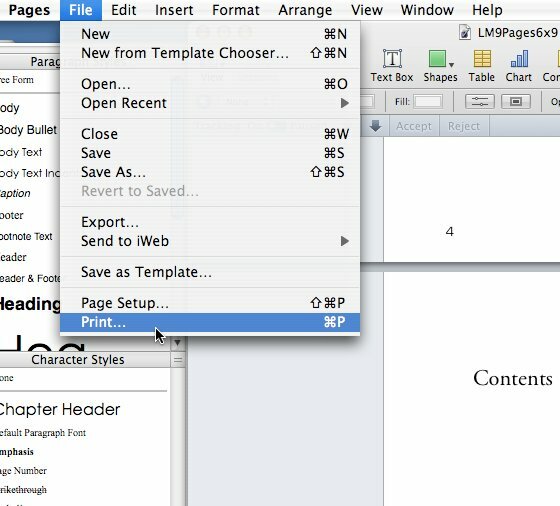 Solution 2: Upload a Word file in .doc format for Lulu to convert. http://lulu.com/help/index.php?fSymbol=font_guidelines. Regardless of method, it is essential to look the PDF over carefully and then it is essential to purchase a proof copy before making the book available for sale or buying in quantity. To save your document as a PostScript file, open it in the application you used to make it (for instance Word). Click on File==>Print and then select "PDF" and then "Save As PostScript." Finally, after saving the PostScript file, upload it to Lulu.com and let Lulu convert it to PDF. After making your PDF, checking it is essential. Download the PDF from Lulu.com and then check it as described here.